As part of its “Villages Initiative”, South Dublin County Council proposes to develop a project to refurbish and extend the attractive houses at 1, 2 and 3 Millview Terrace and at 15 and 16 Tower Road as a Visitor’s Centre and public garden for the historic Round Tower on the site. This is probably one of Ireland’s oldest and most significant Round Towers and sits at the heart of the village, only 12 kilometres from Dublin city centre. • To create a vibrant, high quality and accessible urban quarter in the heart of Clondalkin village. • To provide a centre for learning and appreciation of the history and culture of Clondalkin and south west county Dublin. 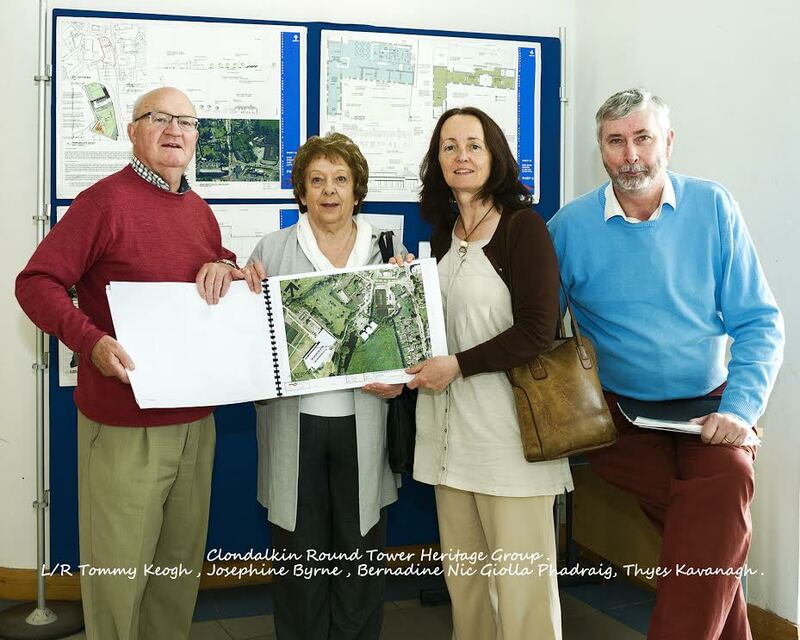 • To contribute to the regeneration of Clondalkin village and to boost its economy. Part 8 Planning Consultation will commence on Tuesday 20th May 2014 with documents and drawings of the proposed project on display in County Hall, Tallaght, Civic Offices Clondalkin and in Clondalkin Library. Drawings and images of the scheme will be available from the Architects Department of South Dublin County Council who are the designers of the project.